I’d like to preface this post by saying that I do a bit of ranting! The sunscreen aisle in the pharmacy, especially if it’s a chain store, reminds me of the cereal aisle – come to think of it, of any grocery aisle – with its sheer abundance of products. This means that we consumers have an abundance of choices to make. Product competition has forced and burdened us to make a really difficult decision about which sunscreen or cereal to purchase; difficult because we have to select one among the shelves and shelves of product. On top of this, our decision-making is confounded by the abundance, dare I say excess, of information out there – a lot of it unfounded, conflicting, and conflated. Frankly, all of the in-your-face consumerism makes me want to run out the door. I feel resentment and confusion as I stand there scanning the merch. All I want is an effective sunscreen at a reasonable cost. Why so many? How many 30+ SPFs do we need (there’s SPF 36, 40, 50, 70, 100)? When I’m standing in the colorful sunscreen aisle, imaginary question marks start floating around my head. And I know they’re circling others’ heads, too, based on the body language I see in front of a rack of sunscreen. Patients expressed the same confusion to me both through body language and verbally when we’d discuss sunscreen. It’s tough for me to make heads or tails of all the information on sunscreen, and I worked as a dermatology provider for over five years. 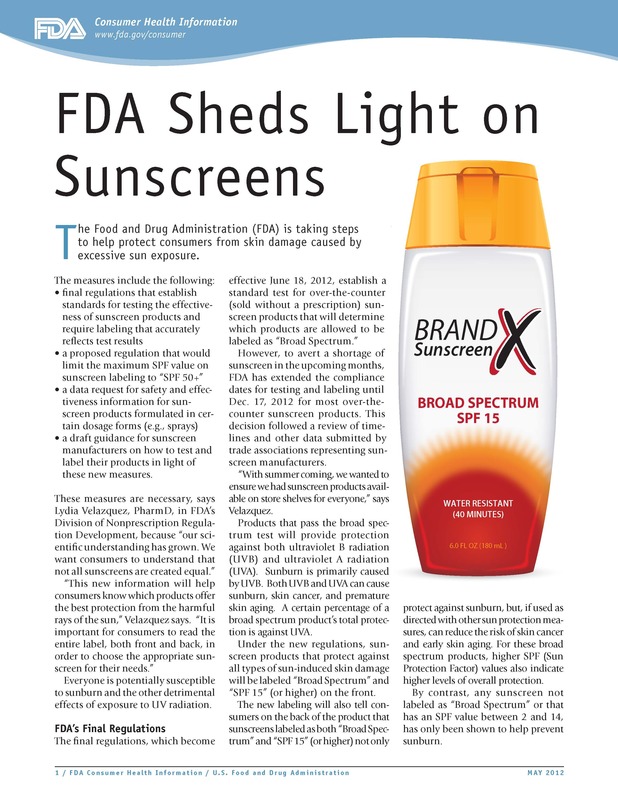 The Food and Drug Administration (FDA) has issued guidance on sunscreen that is helpful for navigating products. The labels of the most protective sunscreens will read “broad spectrum.” If the label only reads “UVA/UVB protection” without defining the product as “broad spectrum,” I put it back on the shelf. I want a sunscreen that will block the optimal amount of burning UVB and aging and skin cancer-causing UVA rays. I’m comfortable with SPF 30, broad spectrum sunscreen because I know it will block about 97% of UVA and UVB. SPFs exceeding 30 don’t offer nominally more protection. There is a significant difference, however, between 30 SPF and lower SPFs. So, I err on the side of safety and use SPF 30 for daily use and extended outdoor use. Perhaps equally as important as the SPF number is how one applies the sunscreen. I apply a generous amount (about a shot glass worth is sufficient for the entire body), and I rub it in well. When using lotions, I like to see some white residue on the skin after rubbing it in. And my mantra is to re-apply frequently and when in doubt. I re-apply every 90 minutes, more often if I’m perspiring or in water. SPF makeup is everywhere now. It’s known in the derm field, however, that this makeup isn’t as effective as SPF sunscreen for a few reasons – the quantity isn’t enough to provide full coverage; the vehicle for SPF delivery isn’t as stable; and its effects don’t last as long. I apply a moisturizing broad spectrum sunscreen prior to makeup to ensure total protection of my facial and neck skin, as well as those easy-to-miss areas, like my ears and lips. A lot of patients expressed displeasure in applying SPF to their faces due to oiliness. I can appreciate that. There are some great over-the-counter facial moisturizers with SPF and facial sunscreens that have an elegant, non-greasy feel. Check out the La Roche Posay line. If you use SPF make-up, you’re doing more to protect your skin than most, but it’s still just not enough. Think of SPF makeup as an add-on, not a stand-alone. I also try to choose facial sunscreens that provide other health benefits to the skin. Some include free radical-fighting antioxidants, essential oils, and/or hydrators, such as shea or cocoa butter. Those with sensitive skin, like my husband and son, may want to consider avoiding sunscreens formulated with fragrance, dyes, parabens, sulfates, or mineral oil. Finally, I like to periodically check out the Consumer Reports ratings and reviews of tested, branded products, such as sunscreen (note, subscription required for viewing full report). That’s funny b/c I’m literally working on that post now. Will be up soon! Thanks for your inquiry!